In this post I will talk about the view that the laws of physics, and the properties of the Universe as a whole, are somehow finely tuned to allow our existence. 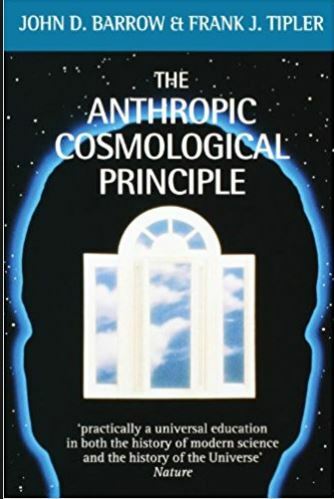 The term ‘anthropic principle’ was coined in 1973 by the Australian physicist Brandon Carter (1942-) to describe this viewpoint. However, these ideas had been circulating for decades beforehand. Since 1973 the ideas behind the anthropic principle have been reviewed in many books, both popular science and those aimed at the more specialised reader. They were developed in detail in a book written in 1986 by the theoretical physicists John Barrow and Frank Tipler called ‘The Anthropic Cosmological Principle’. Before we go into detail about the anthropic principle it is worth discussing, at a high level, the structure of matter and the fundamental forces which drive the way that everything in the Universe behaves. All ordinary matter in objects like ourselves, planets and stars is made up of atoms. An atom consists of a central nucleus, which has a positive electric charge, surrounded by a cloud of negatively charged electrons. Atoms are very small, typically around 0.0001 microns in diameter (a micron is a millionth of a metre). However the nucleus, which contains nearly all the mass of the atom, is much, much smaller, typically around 0.000 000 001 microns in diameter. The nucleus consists of a number of protons, which have a positive electric charge and neutrons which have no electric charge. Because the electrons have a negative charge, and the number of protons and electrons in an atom is always the same, atoms have a net charge of zero. The number of protons in the nucleus is called the atomic number and determines the atom’s chemical properties. You may remember from high school chemistry that the atomic number gives the position in the periodic table. The number of neutrons in the nucleus does not affect the chemical properties of the atoms. In fact, all elements have different versions of themselves called isotopes, which have a different numbers of neutrons but the same number of protons. The simplest possible atomic nucleus is that of hydrogen, which consists of a single proton. Ordinary hydrogen atoms have no neutrons, but a small fraction of naturally occurring hydrogen atoms are deuterium or heavy hydrogen which have one proton and one neutron. 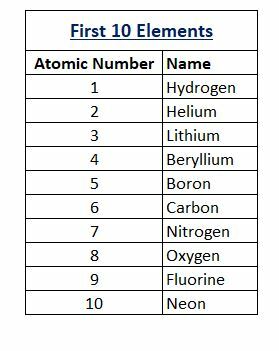 Atoms which have 2 protons (regardless of the number of neutrons) are helium atoms, those which have 3 protons are lithium atoms and so on. The element with the highest atomic number which naturally occurs on Earth is uranium, which has 92 protons. 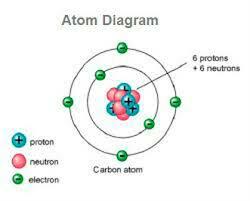 An atom of the most common isotope of carbon has 6 protons and 6 neutrons in the nucleus surrounded by 6 electrons. Other isotopes of carbon are found on Earth which have 7 and 8 neutrons in the nucleus. The Universe is governed by four fundamental forces. All other interactions, such as the combination of two hydrogen atoms and one oxygen atom to form a water molecule, are due to these fundamental forces. Gravity – an attractive force which acts on all particles having mass. Electromagnetic force – This only acts on electrically charged particles and can be an attractive or repulsive force. If two particles have the same charge, such as two protons, the force is repulsive. If two particles have different charges, such as a proton and an electron, the force is attractive. Strong force – this force acts on fundamental particles called quarks. 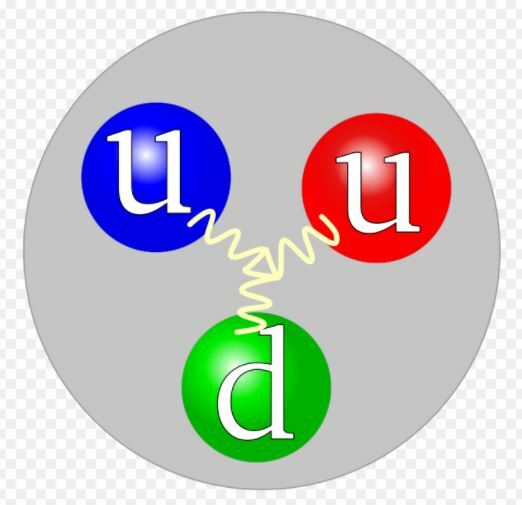 There are six types of quark, which have the rather odd names of up, down, charm, strange, top, and bottom. Because protons and neutrons are made up of quarks they too are acted on by the strong force. The force between protons and neutrons which is sometimes called the ‘residual strong force’ or ‘nuclear force’ only works over extremely short ranges, of less than 2.5 femtometres, where 1 femtometre (fm) is one thousand trillionth of a metre. It is this nuclear force which binds protons and neutrons together into atomic nuclei. For more details on the strong force see the notes at the bottom of this post. Weak force – this acts over a short distance, 0.01 fm to 0.1 fm. It is this force which is responsible for a particular type of radioactive decay called beta decay. Without the weak force there would be insufficient oxygen produced in stars to support life (Clavelli 2008). One thing that is apparent is that the relative strength of the four forces (and other fundamental parameters such the density of matter in the Universe) appear to be finely tuned to enable the production of stars, planets and the eventual evolution of intelligent life. If they were only slightly different, the Universe would be a very different place and life would never emerge. To illustrate this I’ll give some examples below. Hydrogen is the most common element in the Universe. In the early Universe 10 to 1000 seconds after the Big Bang, when it was at a temperature of billions of degrees, about 25% of the primordial hydrogen was converted to helium by nuclear fusion. If the strong interaction had been only 2% stronger than its current value then all its hydrogen would have been converted to helium in the first few minutes of the Universe’s existence. There would be no hydrogen compounds in the Universe, such as water which is, as far as we know, essential for life. If the strong interaction were only a few percent weaker, then deuterium (heavy hydrogen) would not be stable. This would mean that certain elements essential for life such as nitrogen and phosphorous, which are made in the centre of stars by nuclear reactions which fuse deuterium with other nuclei, would not be formed to any appreciable degree. If the electromagnetic interaction were three times stronger, and all other forces the same strength, then any element heavier than carbon (atomic number = 6) could not form. For these elements, the repulsive electromagnetic force between the protons in the nucleus would be stronger than the attractive nuclear force holding the nucleus together. Therefore elements such as nitrogen and oxygen on which life is based would not exist. If gravity were a thousand times stronger, then stars would be much smaller and burn their nuclear fuel more quickly. Instead of living for ten billion years, a typical star would live for about 10 million years. 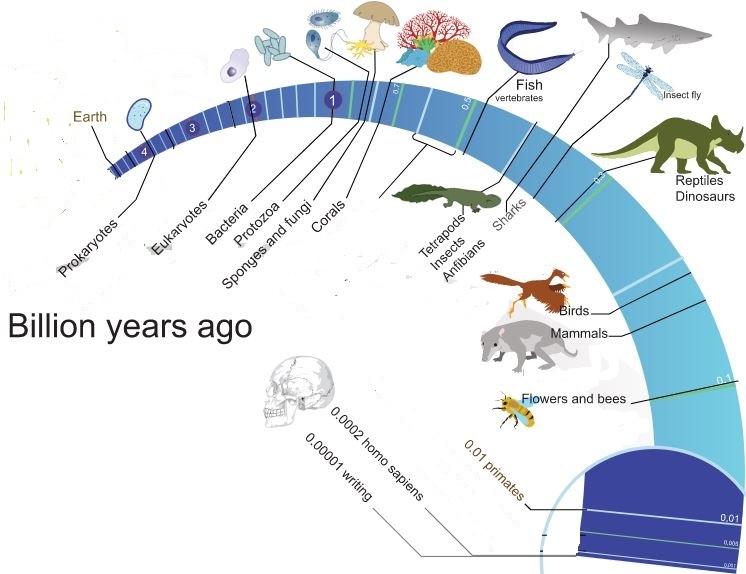 As readers of a previous post will recall, it took hundreds of millions of years from when the Earth was formed until the emergence of the first single-celled lifeforms. So, in a Universe with stronger gravity, these mini-suns and would have stopped shining before even the first steps in evolution had started. If the strength of all the forces were the same, but there were much less matter in the Universe, then the way the Universe evolved would have been very different. In our Universe, initial unevenness in the distribution of matter in its early stages eventually became the structures such as stars and galaxies which we see today. If the density of ordinary matter were 10% of its current value, then structures such as stars and galaxies would not have formed. The WAP is generally accepted by most astronomers. In fact it has been criticised as a tautology – a statement which must be true. For if conditions were very different, so that life couldn’t evolve, humanity wouldn’t be around to observe them. Even so, it is remarkable how finely tuned the Universe is. 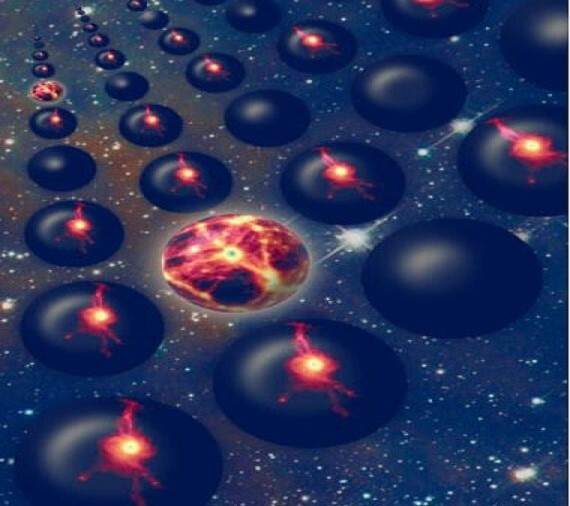 Many physicists believe in the multiverse – a collection of possibly an infinite number of other universes. In other universes different relative strengths of the fundamental forces might apply, so they would look very different from our Universe In some of them there might be more or fewer than four fundamental forces, perhaps even more than three dimensions of space. It seems likely that in the vast majority of these other universes conditions are such that life can never evolve. A variation to this definition was proposed by the physicist John Archibald Wheeler (1911-2008) in 1977, which he called the participatory anthropic principle. What the SAP is saying is that we cannot have a universe which doesn’t have, or have the potential to have, any observers. In some way the purpose of the universe it to give rise to intelligent observers. The SAP is not generally accepted by most astronomers. One particular criticism of it is that we cannot falsify it by observing a ‘dead universe’ in which observers cannot exist. This is because other universes are, by definition, unobservable. Intelligent information-processing must come into existence in the universe, and, once it comes into existence, it will never die out. In the final chapter of The Anthropic Cosmological Principle they outline a future of the Universe in which the FAP is true. In this universe billions of years after the Big Bang intelligent carbon-based life (i.e ourselves ) eventually emerges. Over a long period of time as the civilisation develops it evolves into different forms of life, which are more robust and better able to survive the harsh conditions of interstellar travel and the long timescales needed. These new lifeforms will not be carbon based but could be for example intelligent self-replicating robots. 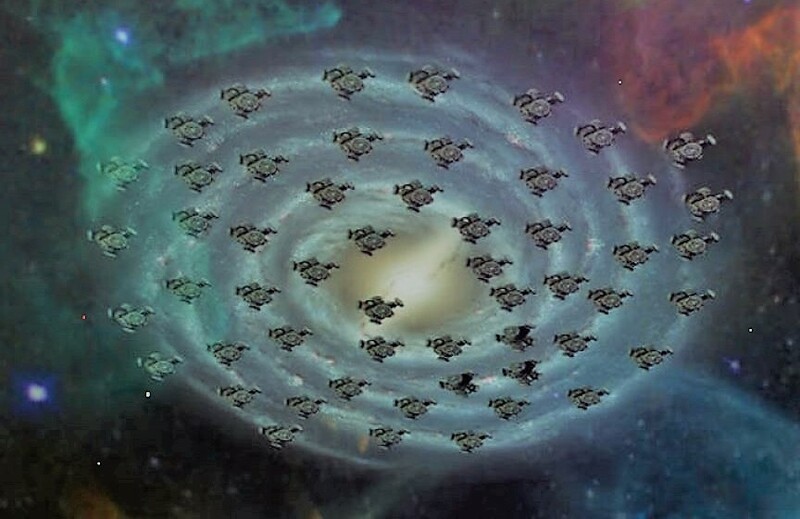 The civilisation then spreads to neighbouring stars and eventually spreads throughout the galaxy. Eventually it spreads to neighbouring galaxies and through the entire Universe. 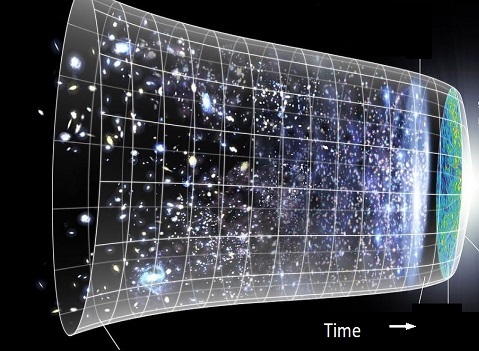 If in the far future, the Universe’s expansion slows down and stops and it starts contracting, it may end in what is termed a singularity of infinite density where the Universe will come to an end and space and time will cease to exist. Barrow and Tipler called this point in time the Omega Point. In general the scientific community reacted with scepticism to the FAP. To many it smacks of pseudo-science. In a review of The Anthropic Cosmological Principle the American science writer Martin Gardner (1914-2010) called it a ‘Completely Ridiculous Anthropic Principle’ which he suggested should be abbreviated to CRAP. In addition, although in the 1980s many astronomers believed in a Universe which wold would eventually collapse into singularity, as discussed in a previous post, this is not supported by current observations. The general consensus is that we live in a Universe which will expand forever and so there will be no Omega Point. Clavelli, L. (2008) Problems in a weakless universe, Available at: https://www.researchgate.net/publication/2020939_Problems_in_a_weakless_universe(Accessed: 24 May 2018). I feel that joy here… Repeatedly. The one ‘cosmic-gift I like the most besides that 138 present is the goose-bump-inspiring coincidences in the energy-level synthesis chains for so many vital elements. Somebody obviously doctored the numbers for us. (?) My un-born doubles in un-inhabitable universes are seriously jealous. To me the anthropic principle is something of a tautology; obviously whatever universe we are in must have the properties required to produce us and all that we see, by definition. It doesn’t require purpose, plan or careful adjustment; it’s simply an outcome of the way things developed. We can postulate other universes where the fundamental forces don’t exist in the same balance, which therefore would not produce ‘life as we know it’. One of the problems with the principle is that in terms of the history of general life, we have a case study of precisely one just now, so it’s difficult to generalise about how life might develop or what it would constitute. For all we know, there may be another universe with a different balance of forces (and, potentially, therefore, with very different characteristics of space-time) in which intelligent beings are pondering the precise same issue in their own terms. Or maybe there are none. We don’t know… but wouldn’t it be great to find out – and to me, that’s the marvellous part about science. Thanks for your interesting and thoughtful comment. I think it is fascinating that, although there is some flexibility in the relative strengths of three of the four fundamental forces, there appears to be very little room for manoeuvre with the strength of the strong interaction. If it were a small percentage stronger or weaker we wouldn’t be here ! As always, interesting reading, but now my head hurts. I guess that the strong and weak and final Anthropic Princioles are just as strong and weak and final as the Dinosauric Principle. The Anthropic Principle can be dismissed in so many different ways. As you have noted, the weakest form of the Anthropic Principle is nothing more than a tautology, and the strongest form has already been invalidated by experimental observations of the expanding universe. There is a lot of quasi-religious (or explicitly religious) wishful thinking in assigning any significance to any of the various remaining anthropic principles. We could easily produce similar principles applying to the planet Earth – that just the right size, density, constituent elements, distance from the sun, distance from black holes, etc was required to produce intelligent life on our planet. Change one of these by a small amount and intelligent life would have been impossible. Does that mean our planet was specially designed and constructed just for us? If so, what should we make of the trillions of other planets that don’t support intelligent life? Since we don’t yet know the reason why the fundamental physical parameters have the values they have, it is premature to speculate why they take the values they have. I note that while certain parameters are supportive of the anthropic principle, others are much less supportive, e.g. the gravitational force can vary by orders of magnitude without invalidating the conditions for intelligent life. The weak force is never mentioned, because you can change it willy-nilly without having any substantive effect on the existence of life. Similarly, the amount of dark matter in the universe isn’t so important, and indeed the anthropic principles were invented long before the discovery of dark matter and dark energy. The definition of intelligent life used in the arguments is very much based on human life, and completely ignores the possibility of other forms of intelligence. For instance the presence of oxygen is required by humans, but was actually toxic to the earliest life that existed on earth. Consider a virtual universe simulated by a computer. The rules that govern such a universe might be completely unlike our own physical universe, with no strong, weak, gravitational and electromagnetic forces at all, but a different set of rules entirely. Yet such a virtual universe might still give rise to intelligent life. So the laws of physics might have been vastly different, not just a few percent different, and still support intelligent life. Finally, if the purpose of the universe was to support intelligent life, you might think that a less wasteful design could have been implemented – one that does not require almost all of the physical universe to be unobservable, for instance, or nearly all of the observable universe unreachable. I agree with you that the weak anthropic principle is somewhat of a a tautology. However, I still think it is interesting that, although there is some flexibility in the relative strengths of three of the four fundamental forces, there appears to be very little room for manoeuvre with the strength of the strong interaction. If it were a small percentage stronger or weaker we wouldn’t be here! In ‘The Cosmological Anthropic Principle’ Barrow and Tipler argue that the amount of energy available for an civilisation to process information in a closed Universe becomes infinite near the final singularity. Whereas in an expanding open Universe it will tend to zero over massive timescales so life will eventually die out. Therefore, the Final Anthropic Principle appears to be ruled out by the observations that the expansion of the Universe is accelerating rathe than than slowing down. Though I guess it is possible (but in my view unlikely) that other observations could show this conclusion to be incorrect. One of the issues with Strong Anthropic Principle is that it violates the Copernican principle of (or mediocrity principle) by giving us a privileged place in the Universe. To me the idea that the Universe is in some sense ‘compelled’ to eventually have conscious and sapient life (i.e. us ) emerge within it smacks of pseudo science and a design argument. 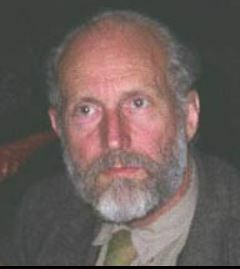 It seems inevitable that one day we will discover either a) that the fundamental laws and constants are indeterminate, and that an infinite number of universes potentially exist, or b) that they are determined by some deeper requirement and the strength of the strong interaction cannot be anything other than its observed value. I always find discussions of the Anthropic Principle (Principles) fascinating. A few years back there was an interesting book by Martin Rees (Six Numbers) which discussed just how important are the numbers governing the way our universe is. I wonder if you’ve read it. No I haven’t read ‘Just Six Numbers’ yet. However, it is on my reading list.